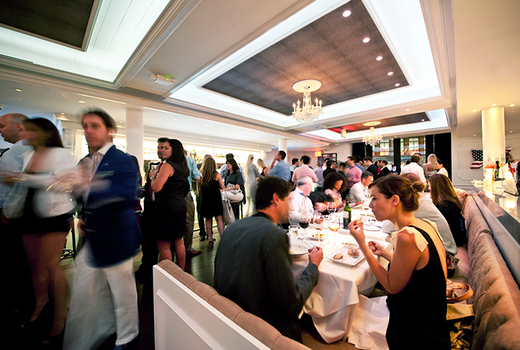 With its sumptuous cuisine, decadent libations and an ever-intoxicating scene, Bagatelle is New York's most coveted destination for experiential dining inspired by the glamour of St. Tropez. 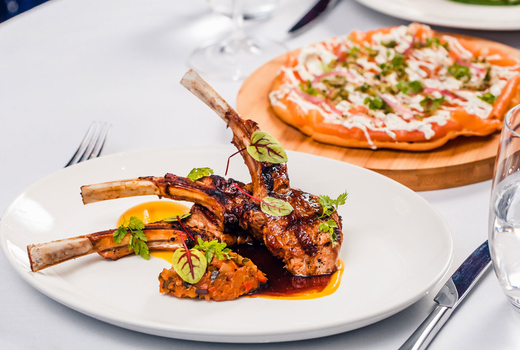 Experience the most indulgent feast for your senses with this $99 pulse (a $170 value) that offers a 3 course dinner for two. You will enjoy 1 Appetizer, 2 Entrees, 1 Dessert, and 2 Cocktails, Glasses of Wine, Glasses of Champagne, or Beers. 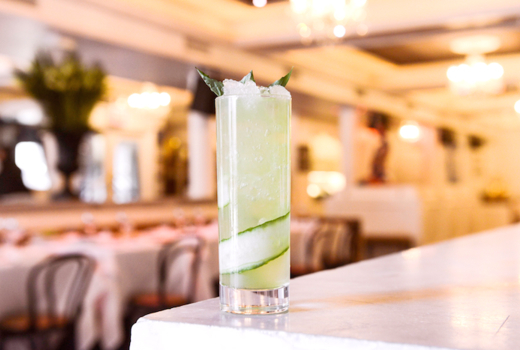 Founded by the French-born hospitality dynamic duo Aymeric Clemente (Group Alain Ducasse, Le Bilboquet) and Remi Laba (13th Street Entertainment), Bagatelle is an A-list haunt hosting the likes of Taylor Swift and Blake Lively, not to mention elites from the media, art, and fashion worlds. 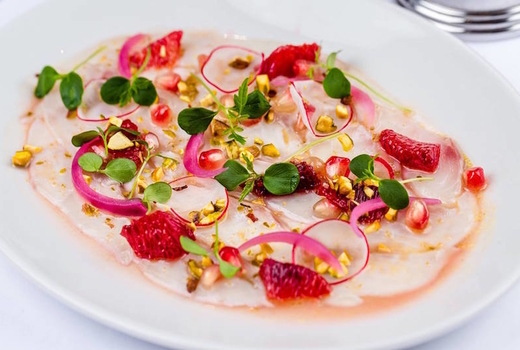 Even better than the scene is the food; at Bagatelle, you will savor a refined French menu by an acclaimed culinary team, who are alums of Daniel & Jean-Georges. 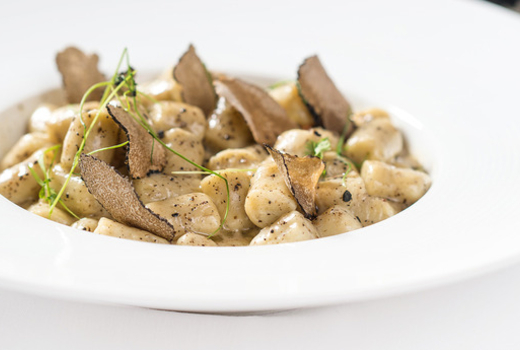 Dazzling creations like the Filet Mignon Aligot, the Arctic Char Sauce Vierge & the Gnocchi Trufflés à la Parisienne will both tantalize and delight you. An evening at Bagatelle will make you feel like a royal vacationing in the South of France - or music royalty like Jay and Bey, who recently spent a date night here! 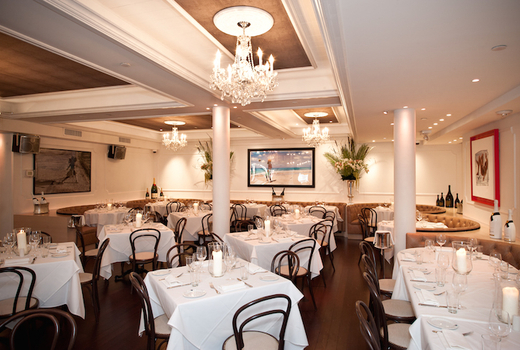 Located in the heart of the Meatpacking District, Bagatelle is an alluring blend of Côte d'Azur splendor (tuffed banquettes, dramatic floral arrangements, white tablecloths) and modern NYC style (contemporary art, Champagne bottle displays). The result is a formula that's been much imitated, yet never copied; an eternally in-vogue restaurant where every meal seems to double as a social gathering, equally beloved for its food as for its atmosphere. The team at Bagatelle cites the sunny French Riviera as inspiration for dishes like the St-Jacques Rôties (pan seared diver sea scallops, potato leek chowder, Perigord black truffle) and the Steak au Poivre, an immaculate grass-fed NY strip steak seared to perfection and served with pomme frites & cognac-peppercorn sauce. 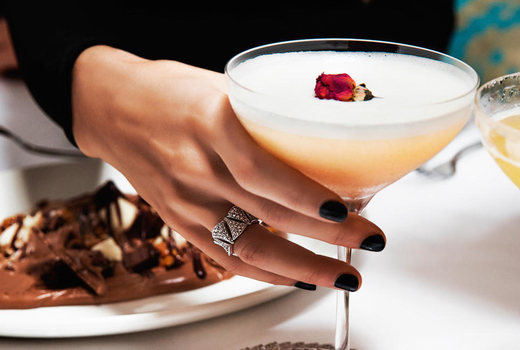 Adding to the fun, enjoy your choice of Bagatelle's signature cocktails; we love the Skinny B (Royal Elite Vodka, lychee, raspberry, elderflower, Champagne). Utterly devastating (& totally Instagrammable) desserts like the Mousse 100% ChocChoc (72% dark chocolate mousse, toasted pecans, chocolate biscuit) will have you saying, "Bagatelle, c'est magnifique!" All choices will be made from the restaurant's full dinner menu. 1 Appetizer (choice of Salad or Tartare & Crudo; up to a $24 value). 2 Entrees (choice of Seafood, Meat, To Share or Not to Share; up to a $48 value each, or $90 total). 1 Dessert (up to a $16 value). 2 Cocktails, Glasses of Wine, Glasses of Champagne, or Beers (up to a $17 value each). "One of the most memorable dinners to have experienced in a very long time. absolutely fabulous the waitstaff was wonderful the vibe / music throughout the evening was uplifting it made for an overall over the top night!" "Excellent service, great menu choices, delicious food and very nice atmosphere. Would highly recommend." Tax & tip not included; reservations required & based on availability. Additional cost added for difference of higher priced menu items.